I wasn’t aware that Pullman had added to that world (I am a bit out of touch). I will have to keep an eye open. Thanks for the heads up. There’s another one too that I’ve yet to read. I do feel that Pullman is attempting to address the mountain of criticism he has received due to the ‘controversy’. My only concern is that he has become too focused on the argument, instead of a compelling story. “Once Upon a Time in the North” is the other novella, and it is a good book. 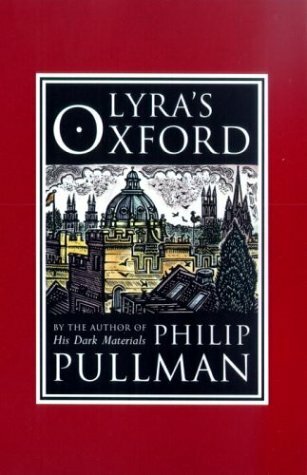 A prequel of His Dark Materials, it’s written a bit differently though. Unlike the previous books though, this one’s more centered on action and the sense of adventure. I still prefer the original trilogy. But I will be still look out for the little green book that will center on Will, to be written and published … eventually. =) And The Book of Dust too, whenever he gets round to finishing it. I am still waiting for Russell T. Davies, writer of Doctor Who, to apologise for so blatantly ripping off the ending of The Amber Spyglass for his season two finale Doomsday. “Once Upon a Time In the North” is a great title. It sounds like a Sergio Leone fantasy film. Does it centre on Lee Scoresby? It does center on Lee Scoresby, and how he gets to know Iorek. And come to think of it, you’re right about the end of The Amber Spyglass and Doomsday. For some reason, I never made the connection. … Probably because I was watching the episodes one after the other, I never processed what I watched. Then again, I only watch Doctor Who intently when it’s Steven Moffat writing the episode. Steven Moffat is excellent isn’t he? It really bothered me after I saw Doomsday. In fact that was the first episode of the ‘nuWho’ I had seen. (Just jumping right in there). Hmmp. Pullman doesn’t appear to mind though.